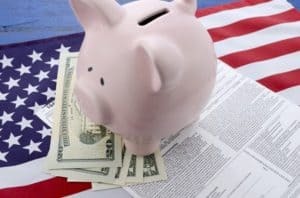 The IRS classifies some special needs trusts as Qualified Disability Trusts, and these trusts have certain tax benefits. QDTs may claim a personal exemption on their federal income tax returns. Please note, as part of the Tax Cuts and Jobs Act of 2017 the personal exemption was temporarily eliminated; however, a specific provision of that Act allows QDTs to use whatever amount the personal exemption would have been in that taxable year, regardless of the elimination of the personal exemption for ordinary taxpayers. As a result, QDTs that generate income less than the personal exemption amount will have no tax liability. Even if a QDT has income above the personal exemption amount, usually that excess income can be passed through to the trust beneficiary who then will claim his or her own personal exemption. For the 2017 tax year, the personal exemption is $4,050. In addition to receiving the personal exemption, QDTs can deduct expenses. Trusts that are earning a consistent income stream, that have some trust management expenses to deduct, and that are paying few medical or other expenses of the beneficiary via distributions will likely benefit from the QDT election. As detailed in the previous article on taxation of SNTs, trustees of SNTs must generally file taxes each year for the trust on a Form 1041. QDTs have tax benefits beyond those of other SNTs because they can receive the personal exemption amount.